The new Unilever headquarter building for Germany, Austria and Switzerland is located right by the river Elbe in Hamburg’s HafenCity. It marks the end of the route out of the town centre to Hamburg’s new attractions: the cruise ship terminal and the promenade on Strandkai. Here Unilever’s new building opens itself up to the city and its inhabitants. The central element and heart of the design is the generous atrium, flooded by daylight, which, on the ground floor, gives passers-by the opportunity to get to know the company better while browsing in the shop stocked with Unilever products, sitting in the cafe or relaxing in the spa. The atrium is also the central location for people to meet and communicate. As in a city, bridges, ramps and steps connect central spaces with each other. Here people can meet, talk and enjoy the inspiring ambiance. Vibrant and communicative interaction evolves, thereby fostering a feeling of togetherness among the employees. The workplace is no longer a separate department. The building itself reinforces the identity of the company. The building follows the principles of holistic, sustainable architecture. While implementing technologies that help save resources, the energy concept adheres to the principle of avoiding technical solutions wherever possible. The office area is cooled by means of thermally activated reinforced concrete ceilings. 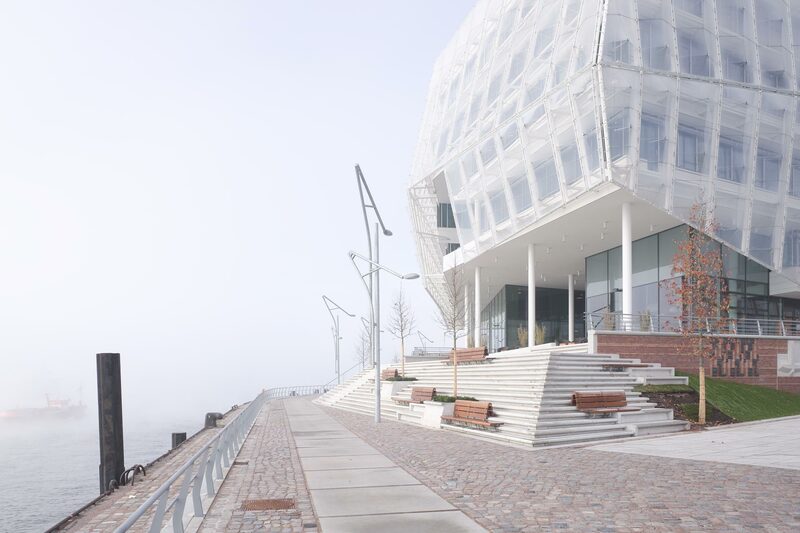 A single-layer film facade placed in front of the building’s insulation glazing protects the daylight-optimized blinds from strong wind and other weather influences. 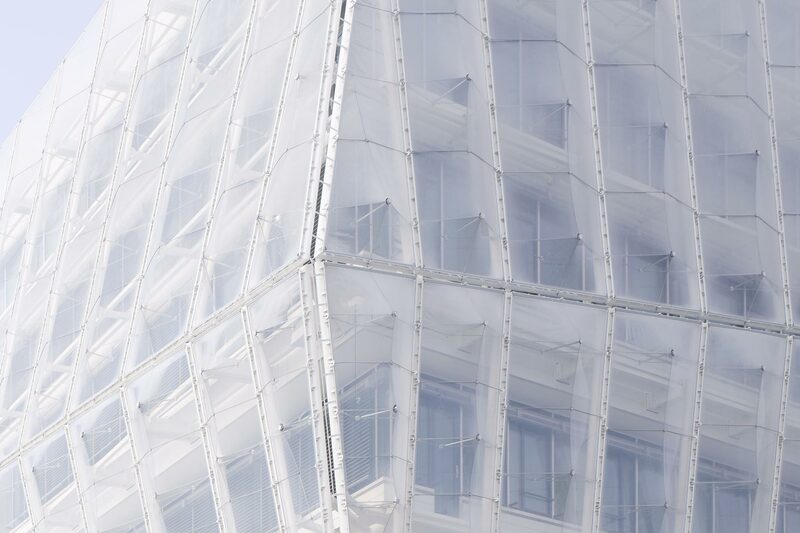 The use of an ETFE film significantly reduced the energy expenditure for the production - compared to a glass façade. The annual building’s primary energy consumption is quoted to be below 100 kWh/m². An efficient SMD-LED system has been deployed both for the building’s general lighting and for workplace lighting. 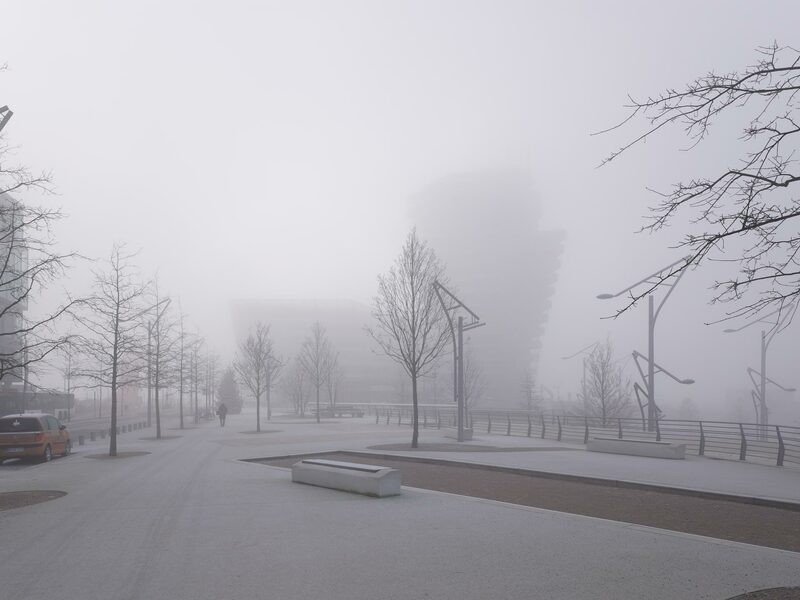 The Unilever building received the newly established HafenCity EcoLabel in gold.